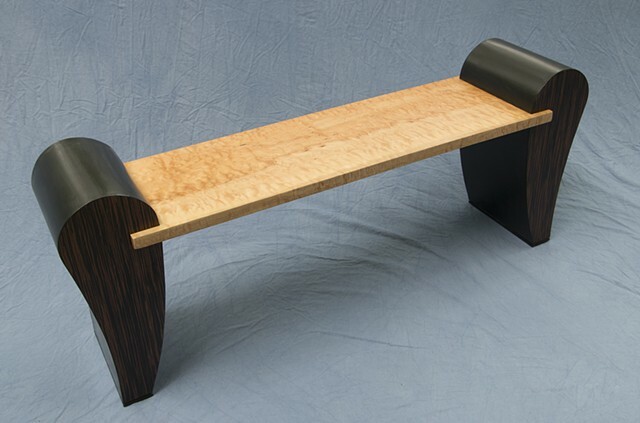 This bench has a seat made using a curly maple slab that has a magnificent figure. I found this maple at an unusual hardwood store in Portland, Oregon. Climatic conditions there help to produce the curly grain pattern in maple trees.The seat is supported by constructs faced with a reconstituted veneer that is similar to an ebony. L 58" D 13.5" H 23"